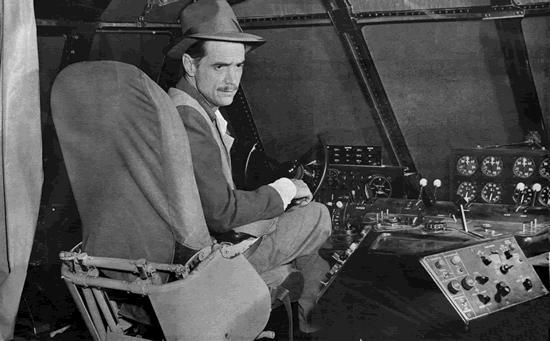 Pictured above is Howard Hughes in his prime doing what he loved best, flying fast. The airplane was the Northrop "Gamma Monoplane" in which he established a cross-country speed record, Burbank, California to Newark, New Jersey in 7 hours 28 minutes, on January 19, 1937. 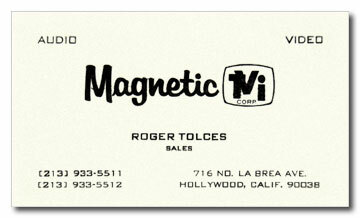 In 1968 I was working for a company in Hollywood called Magnetic TVI. They were a company that specialized in professional audio systems for recording and motion picture studios. 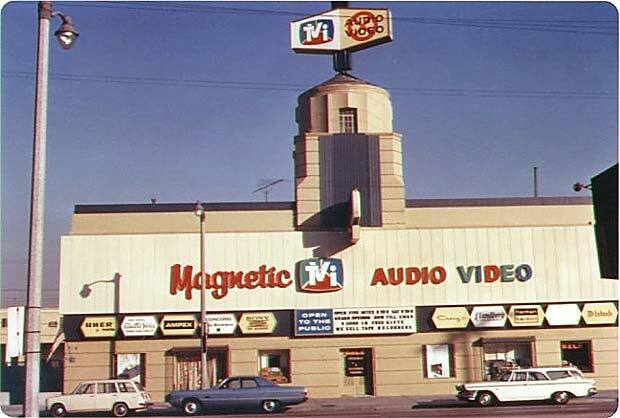 Magnetic was located at 716 North La Brea, at Melrose, across from famous Pink's Hot Dog Stand (which, interestingly enough, is still there). One afternoon, while out in the field on a sales call, I called back to the office and talked to my sales manager, Chuck Huber. He told me to come back to the office immediately because there was a special client waiting. When I arrived at the office, there was a rather distinguished-looking man waiting for me. He was dressed in a very fine suit with a gold vest. He kind of looked like a butler that would greet you at the door of a large mansion. This man's name was Norman Love and he was one of Howard Hughes's personal aides. The Hughes organization kept an office at 7000 Romaine Avenue in Hollywood. In the 1930's Howard Hughes owned RKO Pictures and made many movies with the top Hollywood stars of that time. The Romaine office was one of his last holdings from his movie years, which was then used as the operations center for the Hughes organization. 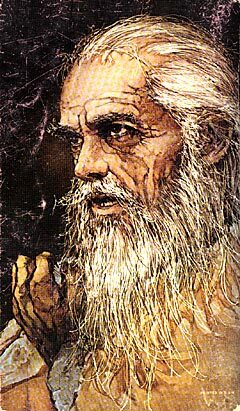 Mr. Love explained to me that Howard Hughes was living, at this time, on the ninth floor of the Desert Inn in Las Vegas. Hughes was a night owl and still enjoyed screening movies as he did for so many years in Hollywood but he had become unhappy with the movies shown on the local television station in Las Vegas. He decided to buy the station so that they would show the movies that he liked but apparently it was not anywhere near as entertaining as having a live movie projection. He had many, many movies stored in the Romaine, Hollywood facility. Mr. Love brought with him a box containing a new Graflex 16mm projector. He told me that Mr. Hughes wanted an appropriate sound system to work with this new projector and, of course, when Howard Hughes wanted something, he wanted it now and these assistants made sure he got it. Mr. Love also explained that Mr. Hughes was hard of hearing and would need a pair of headphones with separate audio adjust on each ear. I unpacked the projector and proceeded to make it operate. I knew that Howard Hughes, being familiar with high-quality motion picture equipment, would certainly need a sound setup of the highest quality. Being the richest man in America, a billionaire, I certainly knew that price would be no object. First I picked out a power amplifier, which was the McIntosh MC2505. This amp was rated at 50-watts a channel. 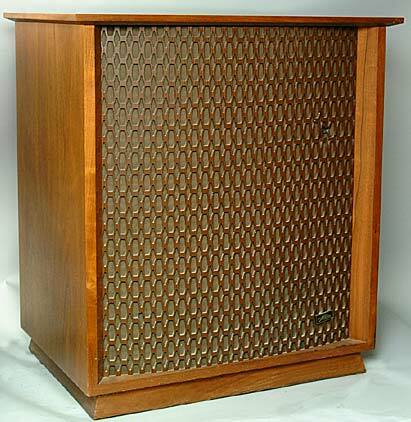 Next, I picked the Altec Valencia A7 "Voice-of-the-Theater" speakers in walnut cabinets. These speakers were the standard for most recording and movie studios at the time. These speakers were 2 1/2 feet by 2 1/2 feet and must have weighted about 100 pounds each. Let me tell you, these speakers could really rattle the chandeliers! I connected all the components together but, unfortunately, there was a ground buzz or hum that was inherent in the mismatch of the projector and the power amp. This was caused by the only output from the projector being the connection for the external speaker. Unfortunately, this was not your standard line-level output. So I ran back into the shop at Magnetic and grabbed a handful of resistors and capacitors and threw together a couple of different versions of an interface network. After testing each one, I still had a hum. Mr. Love and the two football-player sized young men accompanying him were standing around waiting to get this system on its way. Unfortunately, I was running out of ideas on how to get this thing working. At the time, I was going to night school, studying under the Lockheed Aircraft Electronic Technician program so I figured what the heck? I called my instructor, Marty Ross, who was an engineer at Litton Industries. Luckily for me, he was in and suggested a component configuration that I had not thought of and it worked. The movie sound came booming out of the speakers - minus the hum. Norman Love seemed relieved...and so was my boss. The two young men moved the speakers and system to a van waiting to take them directly to an aircraft waiting at the airport. Mr. Love not only thanked me profusely for my diligence (over the past few hours he could see how frustrated I had become with the problem) but he reached in his pocket and pulled out a $50 bill and gave it to me. I had just received a $50 tip from one of the richest men in the world and, interestingly enough, he would be the first of many powerful and influential individuals that I would work for over the next 30 years. 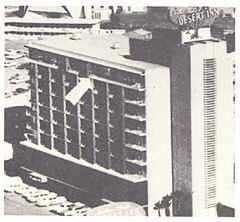 Pictured above is the Desert Inn Hotel where Howard Hughes reclused himself from November 1966 to November 1970. 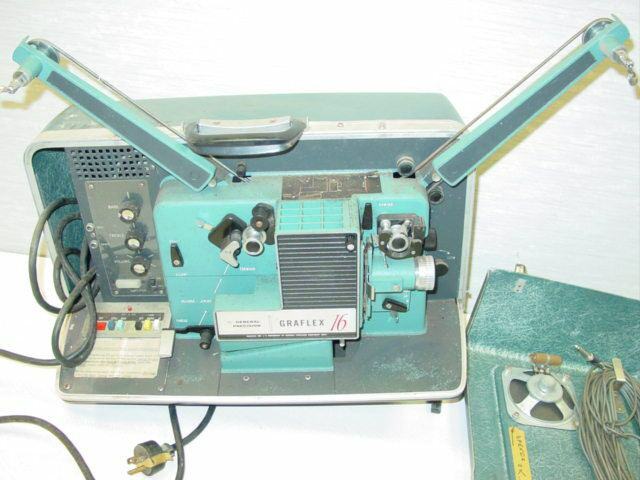 It was here that the movie system was taken and set up for his personal screenings. 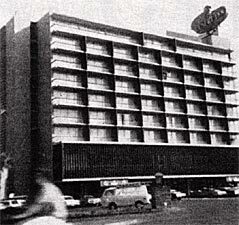 When Hughes first came to Las Vegas in 1966, he leased the top floor of the Desert Inn. A short time later, the casino owners tried to evict him so he bought the hotel for $13.6 million and threw the casino managers out in the street. Hughes would later purchase the Castaways, Sands, Silver Slipper, Frontier Hotel, and Landmark hotels. Gordon Margulis, who was a Howard Hughes personal aide at the time and who still lives in the Las Vegas area, told me that Howard Hughes used to play the movie system so loud that he would rumble the whole ninth floor. They had to keep the room directly under him on the eighth floor vacant because the sound system was so loud. 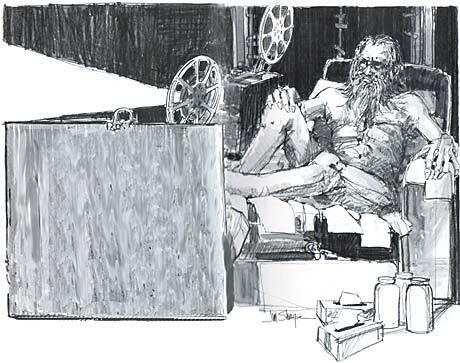 Here is a sketch of Hughes watching his movies, based on Gordon Margulis's first-hand description. 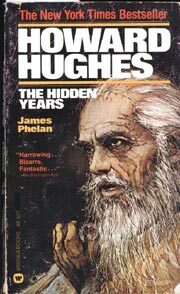 During that period of seclusion, Hughes never met anyone from the outside world so he let his hair grow long and rarely wore clothes. He sat in a deck chair on paper towels because he was concerned about having a germ-free environment. 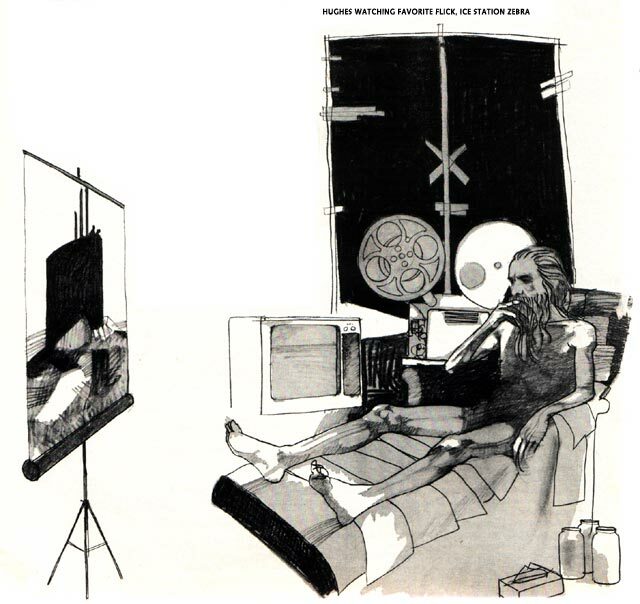 Hughes watching favorite flick, Ice Station Zebra Here is another artist's conception of Hughes at the time. Notice that the windows have been blacked-out with material so daylight never came in. This was done so that the press couldn't get any photographs of him. His last photograph was taken around 1956. The only way to access the ninth floor was to have a special elevator key and once off the elevator, you arrived at a security guard's desk. The only people granted access were the inner circle of people attending Mr. Hughes - only a select few. "Hughes spent an enormous amount of time watching movies, both on TV and with his own screen and projector. He bought prints of all the James Bond pictures, but he liked only the ones with Sean Connery. His other favorites were The Sting, The Clansman and The High Commissioner. Ice Station Zebra will probably remain indelibly imprinted on the minds of his entourage for the rest of their lives." The picture above is an artist's conception of Hughes at the time based on first-hand descriptions of Gordon Margulis. Pictured right is the June 1, 1971 cover of LOOK magazine. Inside is an article entitled "What Happened to Howard Hughes". 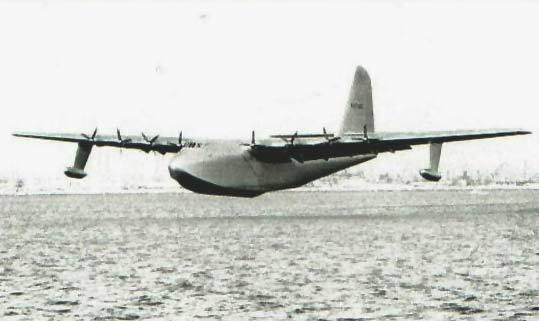 This story has to do with Howard Hughes's secret escape from Las Vegas to Bermuda. "The story begins on November 1, 1969, when Hughes asked Jack Garret Real, a Lockheed vice president and the man whom Hughes for close to 16 years has called simply, 'my friend,' if transportation could be arranged away from Las Vegas to a place in the east: he wouldn't say where to; he wanted absolute secrecy." 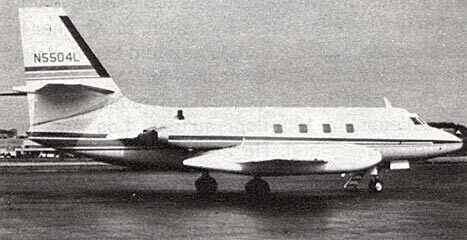 Pictured is the Lockheed JetStar that was arranged by Jack Real and that flew Hughes from Las Vegas on a secret journey that kept those involved on 48-hour alert for 13 months before his departure. Even today, Lockheed officials refuse to admit any such trip was made. "No one had to 'wrestle' the stretcher through the JetStar door, as an officer from Nellis later suggested. What did cause a problem was the stand-up filing cabinet Hughes had insisted accompany him. So much other gear, including large stereophonic speakers, was put aboard the plane that Hughes could barely walk in the aisle." Apparently, Hughes was not going anywhere without his movie projection system, including his mega-sized Altec speakers. 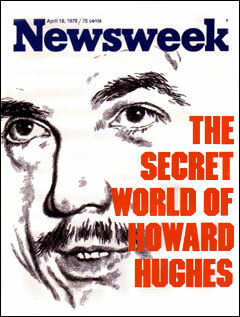 Pictured left is the cover of the April 19, 1976 Newsweek magazine with an article covering the life of Howard Hughes. 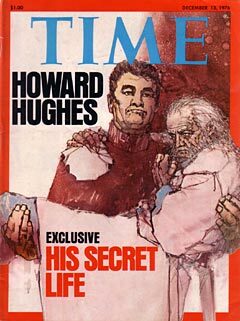 In the article is a structured breakdown of all the Hughes holdings and a detailed description of the power struggle for control of his vast empire. 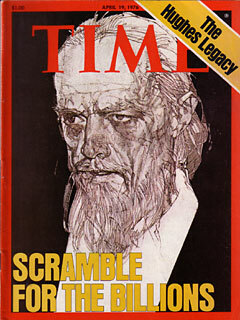 Pictured right is the April 19, 1976 cover of TIME magazine. Inside is an article containing a retrospective of the billionaire's life as an aviator, a film producer and industrial magnate. Pictured left is the December 13, 1976 issue of TIME magazine. 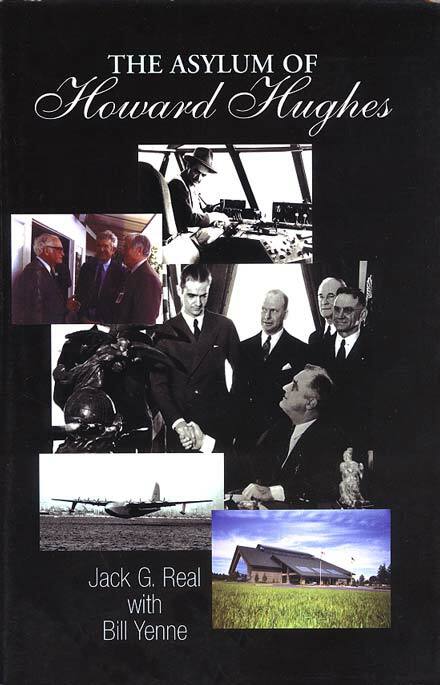 On the cover is Gordon Margulis carrying Howard Hughes. After Hughes broke his hip in 1973, he was unable to move around on his own. The only aide that he would allow to carry him was Gordon Margulis. 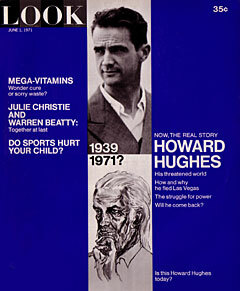 In this issue is a long article describing Hughes's activities during those hidden years. On page 36 it states that, while Hughes was in Nicaragua, there was an earthquake in the early morning of December 23, 1972. "Hughes had narrowly escaped injury when the quake toppled his movie sound amplifier. [Jim] Rickard had caught it just as it was about to fall on the billionaire." Imagine being hit by a 40-pound McIntosh power amp! On page 40 of the same article it states: "Facing Hughes at the foot of his bed, as always, was his movie screen. Behind his bed, as always, was his movie projector. Alongside the bed was his special amplifier for the movie sound track, its controls in easy reach. For years he had lain in bed watching movies, immersed in a series of two-dimensional worlds that he chose himself and totally controlled. He ran his favorites over and over, the sound turned up to accommodate his impaired hearing, the dialogue booming and reverberating in the darkened room. He had run his No. 1 choice, Ice Station Zebra, more than 150 times, until his functionaries knew the entire sound track by heart." 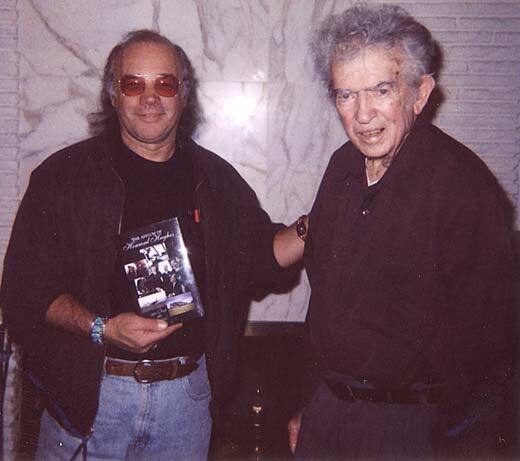 Here is a picture of myself and Jack Real, Howard Hughes's long-time best friend. We recently spent an afternoon together, in January 2004. 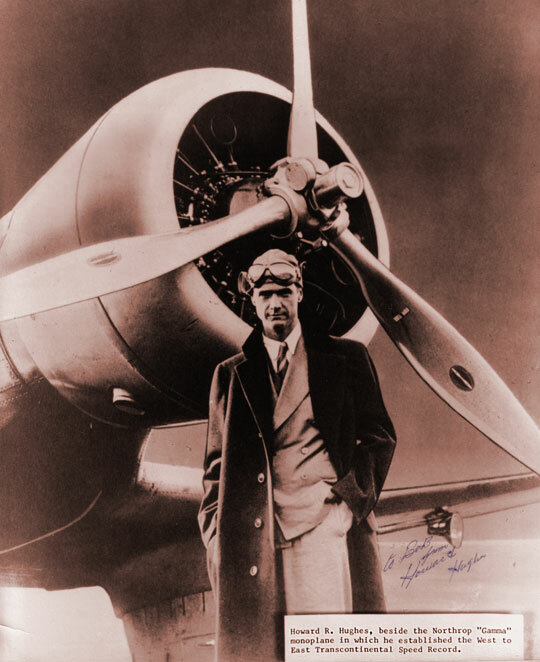 Jack himself was a giant in the aviation industry. 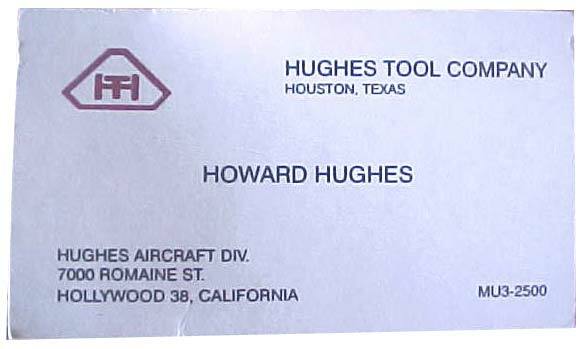 He was president of Hughes Helicopters and McDonnell Douglas Helicopters. He is the recipient of numerous awards from the aviation industry including the Hughes Aviation award and the Collier award. Here is a picture of the front cover of Jack's book. It is his story of the struggle to help protect and save Hughes from his so-called "palace guard." In Jack's words, it was his "privilege to be the best friend of this interesting, imaginative, highly intelligent, different and uncompromising man." Jack's book can be obtained at most major booksellers. 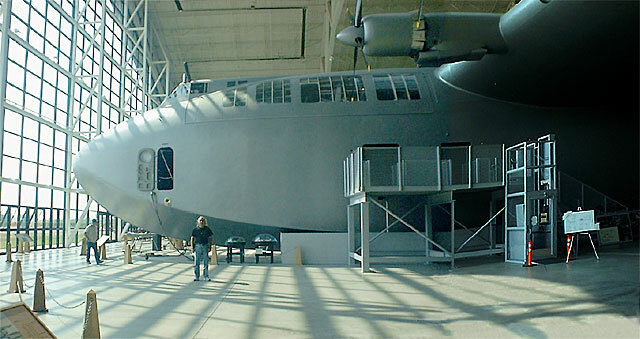 In the summer of 2003 I had the opportunity to see the Hughes Flying Boat, aka Spruce Goose, first-hand. It now resides permanently at the Evergreen Aviation Museum in McMinnville, Oregon. It really is something to see in person! By the way, Jack Real is on the board of directors of the museum and one of the people that facilitated getting this historic aircraft its new home.